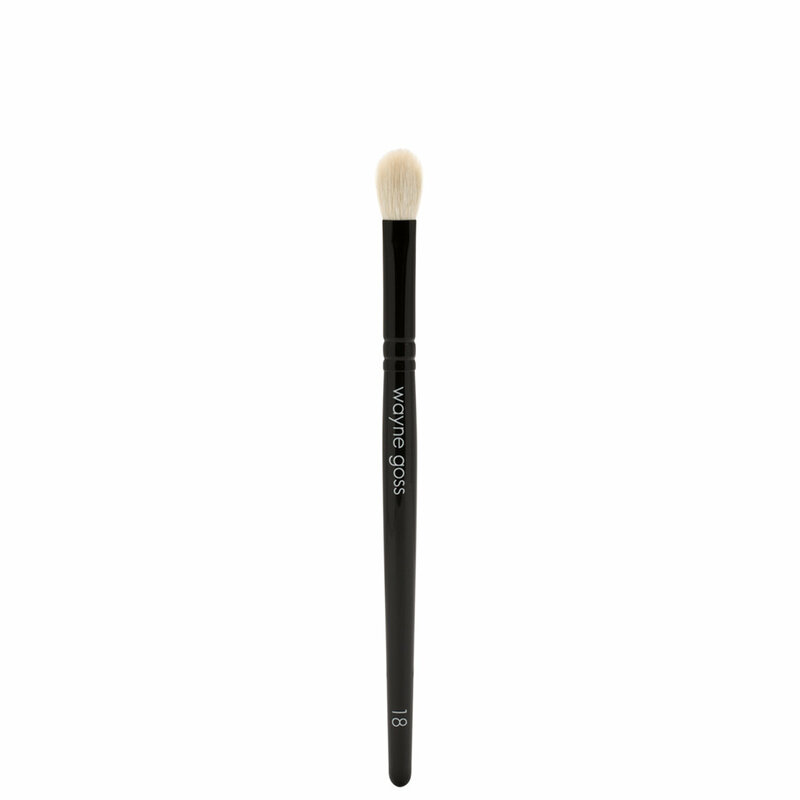 Designed by makeup artist Wayne Goss for ease of use and versatility, this handcrafted eye blending brush diffuses harsh edges for smooth, seamless results in just a few swipes and applies concealer with a seamless, second-skin finish. Brush 18 is also available with The Eye Set. Sweep eye shadow from lashes to crease or pack color across the eyelid. Blend concealer over dark circles, blemishes, and other imperfections with soft patting motions. I love this brush !!!! It is a very high quality brush, the hair is soft and diffuses in a wonderful way. I'm never going to get tired of having this kind of paintbrush. 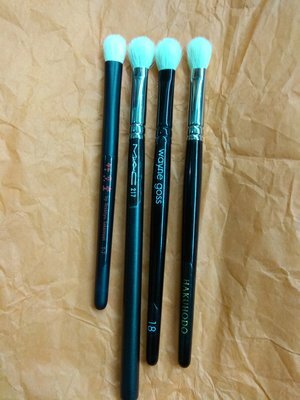 I have a photo to compare with ChikuhodoT 7, Mac 217, Wayne 18 and Hakuhodo J 5523, they are very similar in terms of their function, the narrowest is Chikuhido T 7 and it is less dense, all are goat hair. Impresindibles to make a good makeup. This type of brush is always welcome. This is the best crease brush I own and I do have several. It diffuses the product perfect. Gives a pro finish to any eye look. Not too big so it fits perfect in the crease of hooded lids. It can place color on the lid because it's not so fluffy that it doesn't pack on color. Blends out the lower lash line beautifully because it's almost flatter but still fluffy. So glad they split the set to buy this individually. Definitely worth the money !!! If you save up and invest I promise this Is the only crease type brush you need. I bought this brush because I thought it was similar to the original #16 brush with the round ferrule. This brush is more like the original #6 with the pinched ferrule. Since I already have the original #6 and barely use it, I have no use for this brush. I was so excited to get this brush because I missed out on the original #16. The most frustrating part is that there was no way to tell in the neither the photos or discription that the brush is shaped this way. Not happy at all. I prefer to use this over the tried and true MAC 217. I find this softer and better at picking up all over color. I mean I know 217 is natural hair but you can tell Wayne Goss quality is much better. I find this softer and great for me to apply the transition/all over color. My eyes are too small to use this as a crease brush. I'm debating to purchase a back up as I tried to use the Hakuhodo J5523 and prefer the Wayne Goss 18. I was hesitant when I first received this brush because it was a bit stiffer compared to my other crease brushes, but I'm thrilled I gave it a chance. 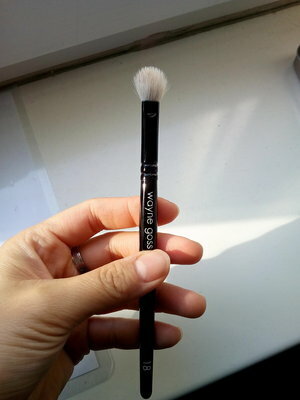 This is the best crease brush I own, to the point that now I am considering buying several (because I dont want to have to keep washing this one to reuse for every eye look). Although I do have large eyes with plenty of lid space, this brush is incredible. Perfectly applies crease color EXACTLY where you want it. It's a classic, everyone who loves makeup knows how important this brush is. I love how well it diffuses, it's soft enough not to scratch and it has the strength of a good shadow mixer. There are many brushes but of all this is without a doubt my favorite. Excellent quality. This is the best blending brush I've tried! It's soft, fluffy, washes beautifully and does all the work for you! 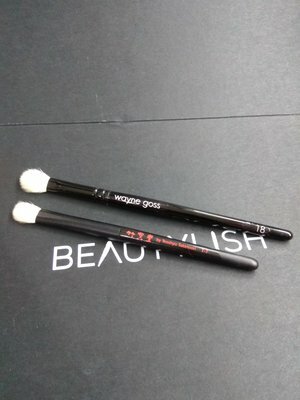 It's my first Wayne Goss purchase and I will be ordering 2 more. I'm so glad I've found something to replace the MAC 217 which is unusable in synthetic form. 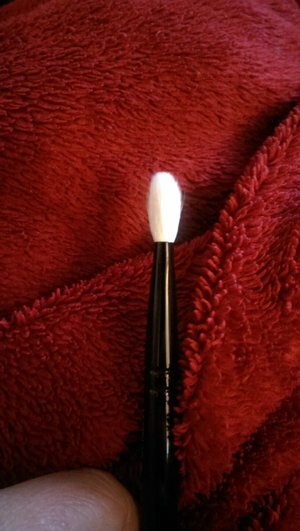 The best eye brush I've ever used! Super nice eye brush! It blends so well that you can do the whole shadow thing with just this single brush. Moreover, it suits me - Asian eye shape - so well!